The size of the private rented sector in Britain’s housing market has doubled since 2002 with 19% (4.3 million) of all households in England in 2014-2015 being privately rented. And even with recent changes in the income tax regime that are likely to end up squeezing the profits made from such property investment, there appears still to be widespread interest amongst both large and small investors. If you are thinking about joining the ranks of these entrepreneurs, what are some of the questions most likely to arise about being a landlord? This guide aims to cover the Most Frequently Asked Questions (FAQs). It should be noted that information is correct at the time of publishing this guide (February 2017), but answers relating to legislation etc. may change. Along with any property ownership, insurance is likely to be a high priority – having invested what is likely to be an appreciable sum of money in the premises, you are likely to want to protect its structure and fabric, together with your contents, against loss or damage. It is important to note that the elements of cover provided may vary from one provider to another, so never assume that all policies offer the same protection. Can I use home insurance to cover my let property? It is important to make a clear distinction between the type of standard home insurance likely to be arranged by an owner occupier and the buy to let insurance needed by a landlord. A home occupied by its owner faces different risks and perils to accommodation occupied by tenants. The differences are critical to insurers, who need to know whether the insured premises are your own home or one that you own essentially for the purposes of a business – generating income from the rents you collect from your tenants. If you have any type of mortgage, then as part of your mortgage agreement you may typically be obliged to ensure you have suitable buildings insurance to protect both your and your mortgage lender’s financial interests. What risks are covered under landlord insurance? Buy to let insurance might be best viewed as a form of business insurance – in which the assets of the business and risks to its successful operation are protected. The assets, of course, are represented by the premises themselves, whilst there also risks to business operations which need to be protected. How is the property protected? At the heart of the typical landlord insurance policy is the protection of the structure and fabric of the property against such potentially devastating risks as fire, flooding, storm damage, impacts, vandalism and theft. The total sum insured, therefore, typically covers the cost of completely reconstructing the building in the event of a major disaster – a sum that needs to be calculated quite separately from the purchase price or current market value of the property. The Royal Institute of Chartered Surveyors (RICS) publishes a House Rebuilding Cost Index – on behalf of the Association of British Insurers (ABI) – showing the annual percentage increase in average rebuilding costs. As the landlord, you are also likely to own some of the contents of the let property – in common areas or if it is a furnished letting for instance. Contents insurance protects the items you own against loss or damage, but responsibility for the protection of loss or damage to tenants’ property is of course a matter for the tenants themselves. In the event of loss or damage to your contents, settlement by the insurer may be made on the basis of new for old replacement of damaged items or after the deduction of a sum for “wear and tear” of those items. It is important to understand the basis of such cover when arranging your insurance. Some policies – such as those arranged by us here at Cover4LetProperty – also cover both the building and its contents against malicious damage caused by your tenants (up to set limits as defined in your insurance documentation). Such cover is not included as standard with some other providers’ policies, so you may need to check at the outset whether it is covered by your particular provider. What business risks are covered? Probably the greatest risk to your being able to continue to run your buy to let business is from claims of your liability in causing personal injury to or damage to the property of your tenants, their visitors or members of the public. These types of claim may assume very considerable proportions and might threaten the very survival of your business. The property owner’s liability cover included in landlord insurance, therefore, commonly provides cover of at least £1 million – and maybe more. Can I claim for lost rent? Typically, landlord insurance further protects your business by providing an element of compensation for loss of rental income in the event of an insured incident which leaves the property temporarily uninhabitable (making your collection of rent impossible). The amount of compensation available is generally limited either to a total sum or to a percentage of the total sum insured. Is subsidence cover included in my policy? At Cover4LetProperty, all our landlord insurance policies include subsidence cover as standard. Some other providers, however, do not, so it is important you understand what your cover entails. What is unoccupied property insurance? Just as the term suggests, this is a specialist form of insurance used to protect a property that has become empty or unoccupied for a given number of consecutive days (typically 30-60 consecutive days). It is suitable for both let properties and owner-occupied properties. your having purchased a previously empty property with the intention of upgrading and refurbishing it to a standard fit for tenants. Read our full Guide To Unoccupied Property. Why do I need unoccupied property insurance? otherwise relatively minor maintenance problems may develop into major crises if left unnoticed because no one is in residence. Typically, therefore, cover is substantially reduced – or lapses altogether – once the property has been left vacant for a period of, say, 30 or 60 days consecutive (depending on the particular insurer). In order to maintain comprehensive protection for the property, therefore, unoccupied property insurance is required. Are there any special measures I need to take when the property is unoccupied? In addition to the protection afforded by unoccupied property insurance, insurers are also entitled to expect you to take all reasonable precautions in mitigating the risk of loss or damage. arranging for regular, recorded inspections of the property – in keeping with the nature and extent of the premises involved. How do I market my property? Marketing is naturally an important aspect of any business and your buy to let enterprise is no exception – and starts with your selecting a suitable property to buy. Why is the choice of property important? The property you choose, and the price you pay for it, the rent you can charge and the ongoing expenses you pay are all going to affect any capital appreciation in the value of the premises and the rental yield you enjoy from the investment. Capital appreciation depends on the longer term increase in property prices – which, of course, may vary quite widely over time. Rental yield, of course, is the income you generate after deducting the cost of running your buy to let business and therefore depends on what accommodation tenants want to rent. the availability of parking – on or off road – together with the location of the premises with respect to transport links, parks and shops are also very important considerations. What rent do I charge? Although you may want to maximise your income from the rent charged, if it is unreasonably high you might not attract the tenants you want. Research into the rents currently being charged for properties of a similar size and nature in the same neighbourhood, therefore, is necessary to establishing your baseline. It is at this stage that you might also want to consider consulting a local letting agent for advice and guidance. Read our full Guide to Marketing Your Property. How do I find a reputable letting agency? in some cases, conducting the inventories that are necessary when tenants move in or leave at the end of a tenancy. In other words, a letting agent may help by taking the strain of probably the most difficult and time consuming aspect of running a buy to let business – finding tenants upon whom you can rely. So, what do I look for in a good letting agent? Probably the first qualification you might look for is the agent’s membership of a relevant professional body – such as the Association of Residential Letting Agents (ARLA) or the UK Association of Letting Agents (UKALA). Membership of such a body means that the agent has received professional approval and is also bound by a code of practice with respect to the services offered. Is the agent’s area of operations at all relevant? It is important to find a letting agent based in and with detailed knowledge of the area in which your property is located – especially if you are also going to be instructing the agent to carry out maintenance checks and commission local tradesmen to do the work. What hours do letting agents keep? This is likely to vary from one agent to another, and you may find it important to find one that maintains an out-of-hours service – particularly with respect to emergency call-outs to repairs. The fees charged by a letting agent are of course likely to vary from one part of the country to another and between different agents. Since the 23rd of November 2015, however, the Consumer Rights Act requires all letting agents to publish details of their fees in any advertising – including that on the internet. Do letting agents also ensure the safe keeping of tenants’ deposits? You may instruct the letting agent to be responsible for ensuring that any deposit taken from your tenants – as security against damage and breakages, for example – is paid over, as required, to a government approved third party for safe keeping. Read our Guide To Tenancies. What are my responsibilities and obligations as a landlord? Mention has already been made of your general duty of care as a landlord towards your tenants, their visitors and members of the public and the possibility of your facing claims for damages if you are shown to be negligent in this regard. Your compliance with these obligations is important since failure to do so may be met with hefty fines – or even imprisonment. Landlords’ responsibilities and obligations are liable to change, so it is important that the information below and in our Landlord Legislation Guide is used as a starting point only and that you are aware that legislation does change and new rules are continuously being introduced. 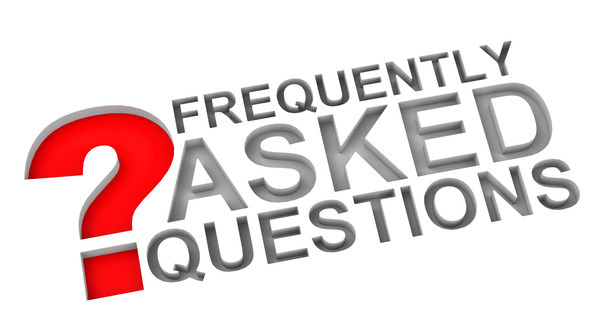 The FAQs below relate to properties in England only. What are my obligations regarding gas safety? This means that they have to be inspected each year by a registered Gas Safe engineer, with any recommended repairs and improvements carried out and a copy of the inspection report kept for a minimum of two years. Copies of the report must also be made available to your tenants. Since the 1st of October 2015, landlords are also obliged to install carbon monoxide detectors in all rooms in which solid fuel is burned. What are my obligations regarding electrical safety? As the landlord, you have a general duty for ensuring the safety of all electrical supplies and appliances in the premises, arranging for inspections by qualified engineers as and when appropriate. What are my obligations regarding fire safety? You also have a general responsibility for ensuring that the property complies with local and national fire safety regulations – including, for example, unobstructed access to all fire escape routes. There is now also a specific requirement for you to install a fire alarm on every floor of the let premises. What are my obligations regarding Energy Performance Certificates (EPC)? The first obligation is to ensure that an EPC is available for the property and that a copy of it is available for tenants, who may request an upgrade of the energy efficiency. With effect from April 2016, if your EPC is graded in bands F to G you have an obligation to upgrade the energy efficiency of your property, in order to conform to so-called Minimum Energy Efficiency Standards (MEES). Landlords and the buy to let market generally has voiced its grave concern about the government’s recent changes to the tax regime affecting landlords in the private rented sector. The Residential Landlords Association for one is championing a campaign against those changes. Although the buy to let sector is expected to experience a somewhat more difficult economic climate, however, it seems equally certain that the prospects for business success continue to attract individuals into property investment. It is with these investors in mind – and especially the smaller, occasional or “accidental” landlord – that this guide has been produced. Intended as a big guide – in the nature and breadth of some the questions it attempts to answer – however, there may be inevitable gaps in the information provided. If there are questions which you still want answered therefore, please feel free to contact us here at Cover4LetProperty. We will be very happy to help.